You have done it. You have me on page one google search for mediation divorce. I am just floored. ANY client you want a personal testimonial from I will talk to them directly, any time on your behalf. You just have them call me. Unbelievable. I am speechless. AND GRATEFUL beyond words. You need a site that is visible to the public at large, not just to your existing customers or the lucky few who happen to come across it. Optimization is a must in today's market! 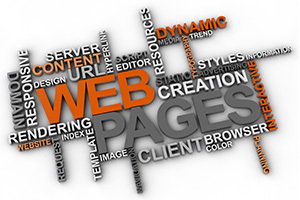 We offer professional website optimization services for all-size businesses. In today’s challenging business climate, it is important tp make sure your company is not overlooked on the Internet. With our organic coding methods, you will not only capture new clientele, but also annoy your competition. Establish a strong competitive website and web presence with the help of Business Website Center. We have established a truly unique technique that assists page one ranking on Google. About 50% of people who continue their search when not finding what they are looking for, change their search after reviewing just the first page of search results, often adding a regional factor (IE: City). About 50% of people think that if a company is on page one of Google it means they are the leaders in their industry or category. We have kept our optimization and SEO costs to the bare minimum, and for the same service, we charge three to four times less than other local website optimization companies. Remember, behind every Internet search is a person, and that person could be your next best customer. Search engine optimization specialists, like us, can help you target these potential clients and increase the sales for your business. Setting up and customizing your profile on Facebook, Twitter, LinkedIn, Yelp and other social networking sites. If your site is built properly and optimized well, you won't need to spend any more money on expensive methods like Pay-per-Click. Click the images below to view our portfolio of websites we have optimized for our clients. Join these very satisfied Santa Rosa, Sonoma County and Marin County businesses. We will optimize your website through our unique coding techniques so that major Search Engines, like Google, Yahoo! and Bing, index your company. With proper organic indexation, you will reach new clientele and increase your revenue stream. 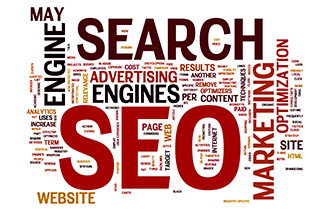 We will assist you in determining your keyword search goals so that you have qualified visitors on your new website. Google My Business is another way to be found on Google. It has replaced Google Places and is becoming more and more popular so it is important for your company to take notice about this Google product. We use pure coding to obtain top ranking for your website. Our recommended shopping cart is fully optimizable. Each URL is customized to a specific product. Each product has its own assigned Meta Tags for both Description and Keywords. Each image is also optimizable with alt and title tags. That means each page of your shopping cart is viewed by Google as a valuable webpage that is worth being indexed by search engines. 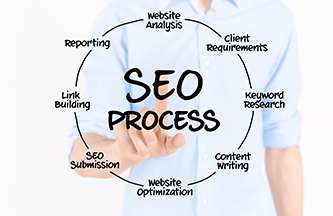 SEO is the process of improving the visibility of a website or a web page in search engines via the "natural" or un-paid ("organic" or "algorithmic") search results. We specialize in organic SEO so that your website is on page one of Google and you do not have to pay expensive pay-per-click programs. We are experienced in website design and development, graphic design, search engine optimization, and corporate branding for businesses and organizations. We have the knowledge and creativity, but most importantly, we understand that creativity alone is not enough. We are business savvy and use our knowledge to provide our clients a positive return on their web investment. Our wide range of clients served includes businesses, corporations, and individuals interested in optimizing their web presence, and revealing a modern, fresh image for their websites and companies. We have the belief of getting it done right the very first time. Finally, we have a proven track record and raving customers.